SSI Ultra VPS cloud is not low price and low server specification.We provide rich server resources that can be used for actual operation to customers who have been operated on a dedicated server so far. We provide up to 8 vCPU CPU resources and up to 32 GB of memory to run front-end applications such as DB server and Web server running on the back end. 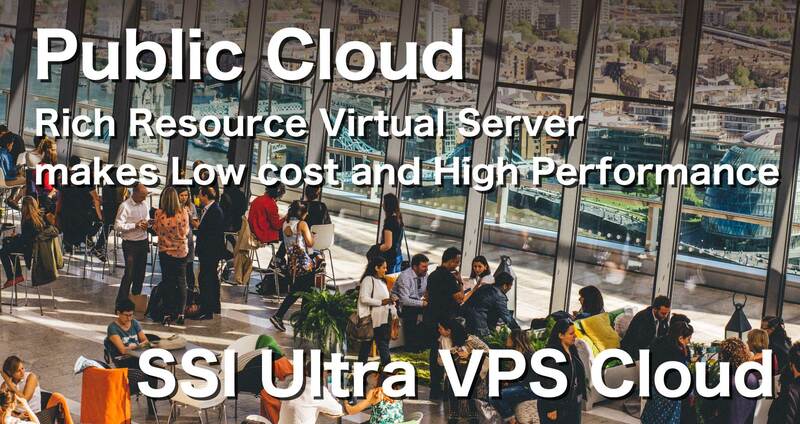 Most common VPS uses KVM for virtualization software, but SSI Ultra VPS Cloud is fully virtualized with VMware. VMware performs better than KVM and achieves over 90% of the share of virtualization software used around the world. All storage of the physical server that builds the SSI Ultra VPS cloud is SSD. For VPS servers with multiple users, storage performance is sacrificed and the range of operation is narrowed. By installing SSD, reading and writing speed improves, and can be used comfortably. 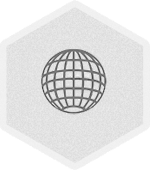 In the SSI Ultra VPS Cloud, we prepare packages that give up to 3 IP global IPv4 addresses. In general VPS plan, only 1 OS can be used per contract, but up to 3 OS can be introduced. We will offer you a cloud-type VPS service you have never seen before. The standard OS provided is CentOS 6 which is most suitable for development environment. With custom OS, you can choose from about 60 types supported by VMware. This VPS plan uses VMware virtualization technology. Therefore, it combines the robustness and safety of the dedicated server and the high flexibility of the cloud. We adopted the SSD which is more than 10 times faster than the HDD and suitable for server operation and realized super high speed response. Contributing to server consolidation. We have 10 GbE connections with over 21 major carriers. Even with broadband communication of video and audio, light and stable supply is possible. You can start the service immediately after contracting. The interface for managing the VM server is completely Japanese compatible. Most of the work is a simple GUI that can be completed with 3 to 4 clicks. We monitor servers from 35 locations around the world at 1 minute intervals. In case of failure, recovery work will be started automatically. Copyright © 2011 SSI Laboratory Inc. All Rights Reserved.